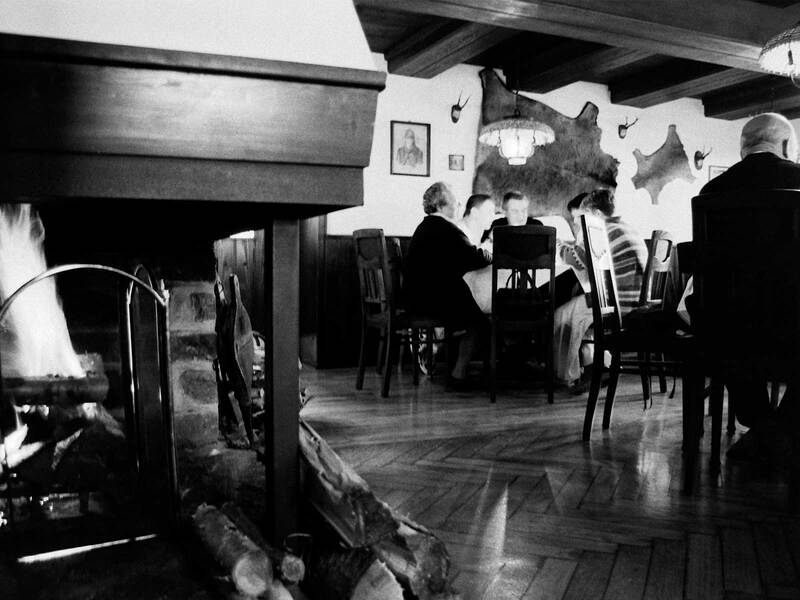 The past lives on in the "Linde"
Since 1819, "Linde" is in a family ownership. invests all power to guarantee the guests a unique experience. 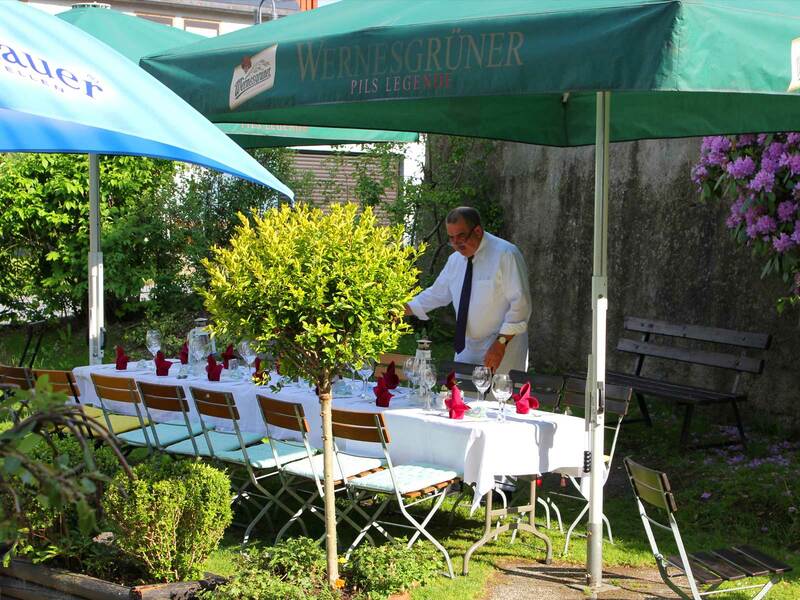 Even the surrounding and beautiful location of the "Linde" contributes to your experience. On south the 14th Century church with its old churchyard wall borders with our Beer garden. they would not mind to get some bread crumbs from you. 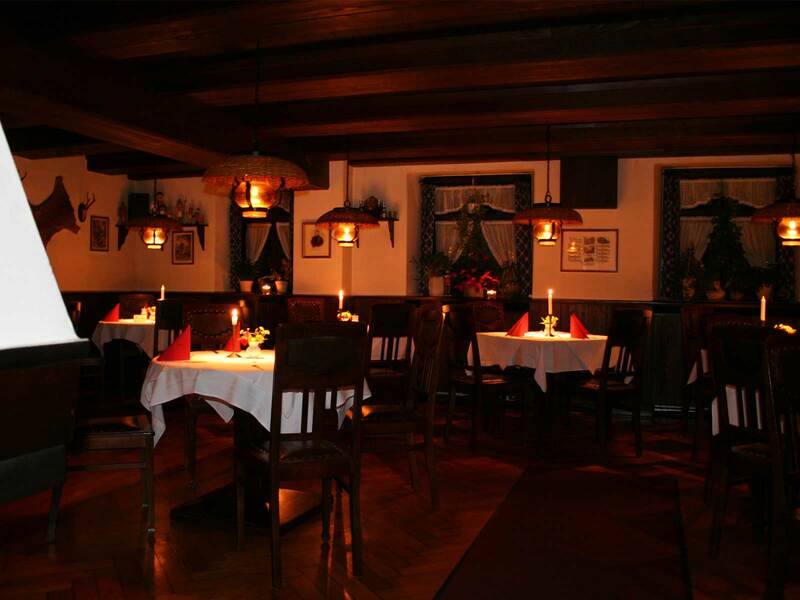 You can feel the warm cozy atmosphere right away when you walk into the restaurant. Dark wood on the walls and thick ceiling beams immediately draw your attention. the time would probably not seems as long. we would have to light the fireplace even in summer. There is nothing like the flair of the crackling wood burning that spreads in the guest room. to experience in the winter months for many days. 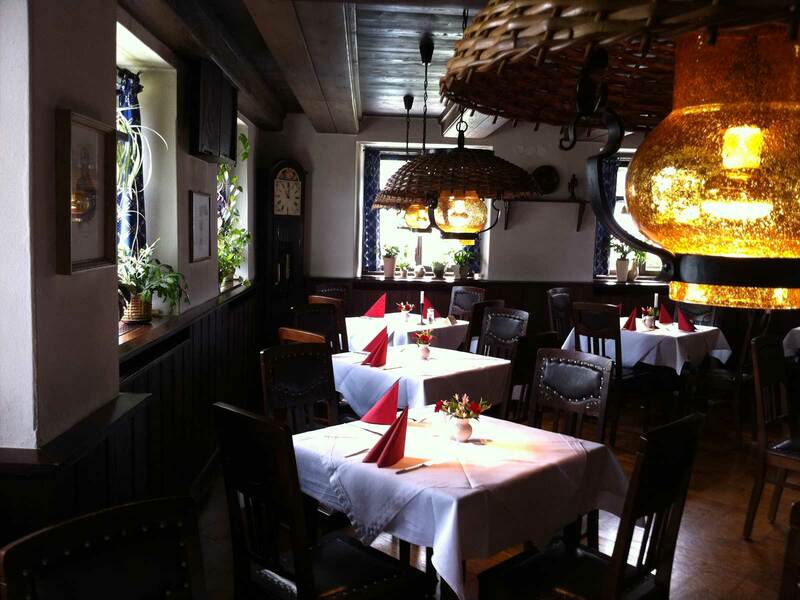 You should not miss the opportunity to visit the restaurant at lunchtime. In addition to our many specialties, we also have various lunch menus. than at white-clothed tables, with exquisite service. we have a small dining room on the upper floor for you. 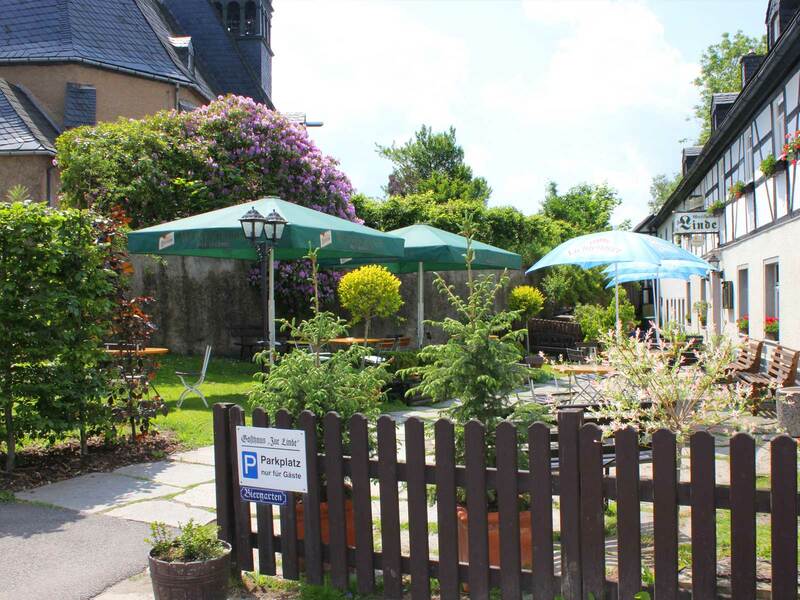 Whether during the day or in the evening - the beer garden is worth a visit. 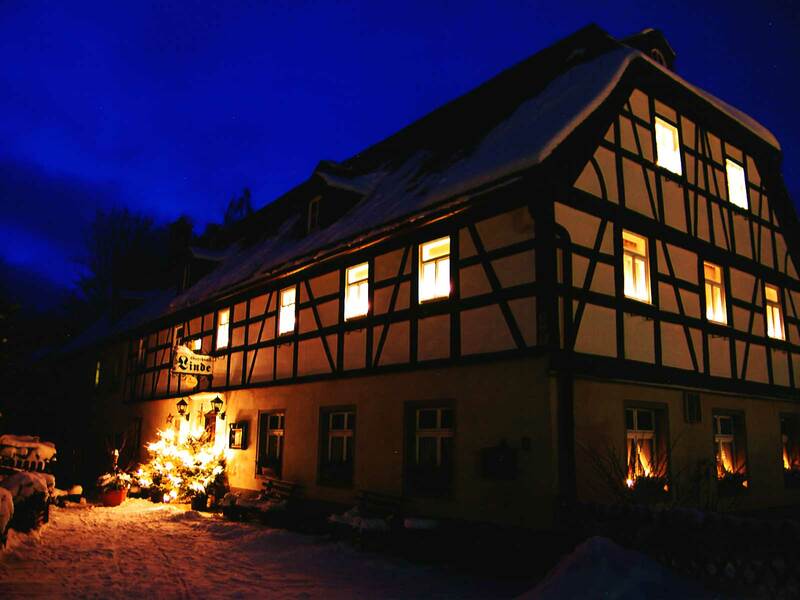 You have a clear view of the beautiful half-timbered house and the interesting nature. the sound of church bells next door every 30 minutes. But the beer garden is not just a beer garden. Fancy decorated tables bring an unforgettable experience for your celebrations. which is surrounded by green hedge almost like a separate room.